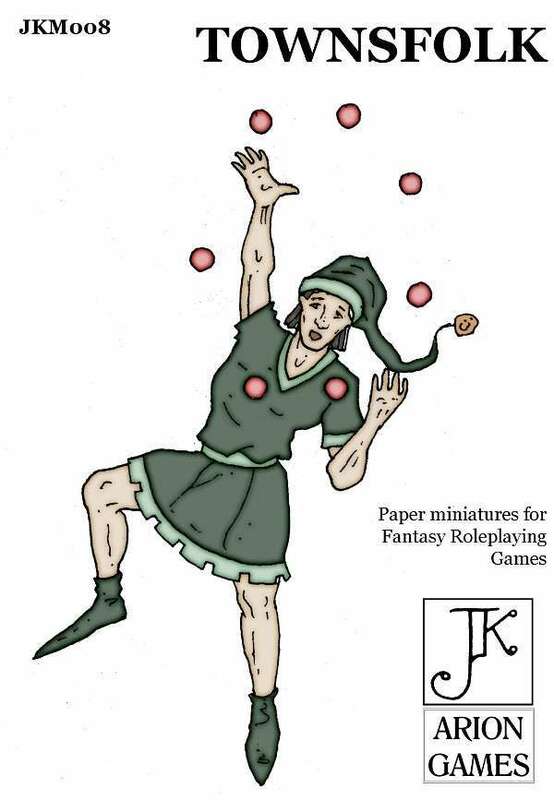 Our eighth set of paper miniatures from John Kapsalis features 31 characters from any fantasy town. You have the bigwigs (judge and mayor) and the less salubrious characters (scoundrel and gravekeeper) and of course you have the ordinary people in between. Rounded off with some animals, this set is great for when your adventurers head into town!